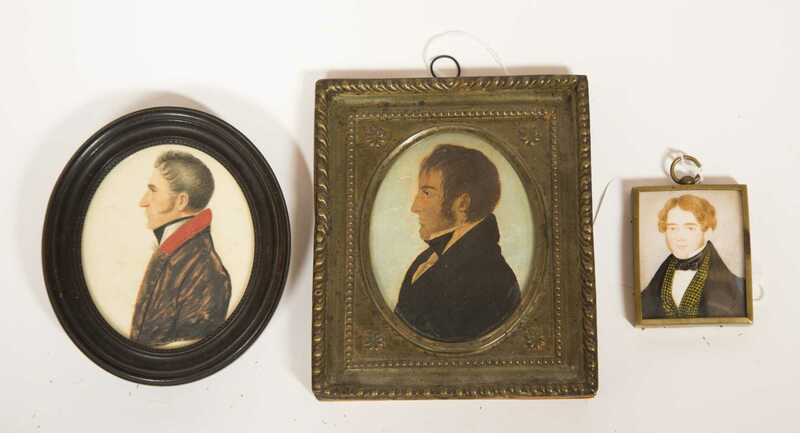 Lot of Three Primitive Miniature Watercolors of Young Men, A) Oval profile of a man in black coat, 5 1/4" x 4 3/8" overall, mounted in a pressed brass frame underglass. 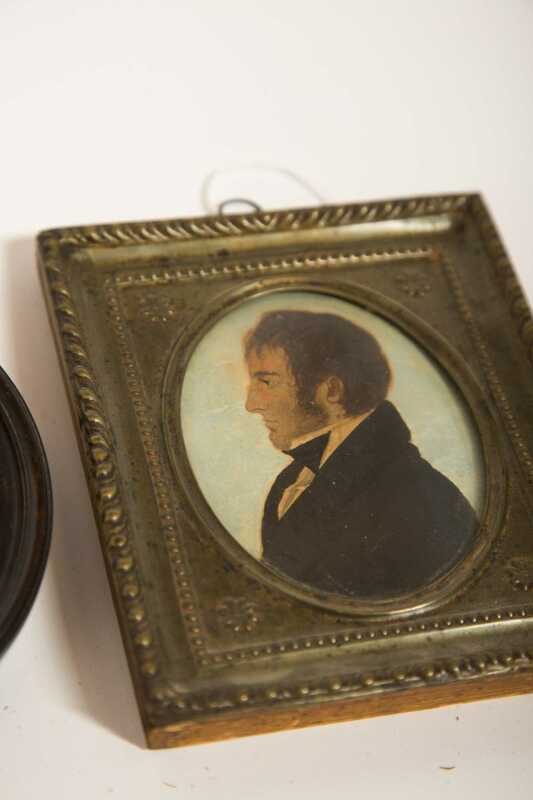 B) Oval profile of a man in a brown coat with a red collar, set in a molded black frame underglass, 4 3/8" tall. C) Rectangular 2 1/4" x 3 4/" overall brass frame under glass, man wearing a checkered waistcoat, appears to be done on ivory but not taken out of frame.